Home / News / What is Rigging? Corporate events are big functions and they aren’t just for your company; they can also be for clients, partners, and investors. Such events are ideal for announcing products or news, making sure that they garner publicity. But do you know what you need to set up a successful corporate event? Your To-Do list will need to have more than food and drink – the details are essential parts of corporate events, like sound, lighting, and how you set them up. 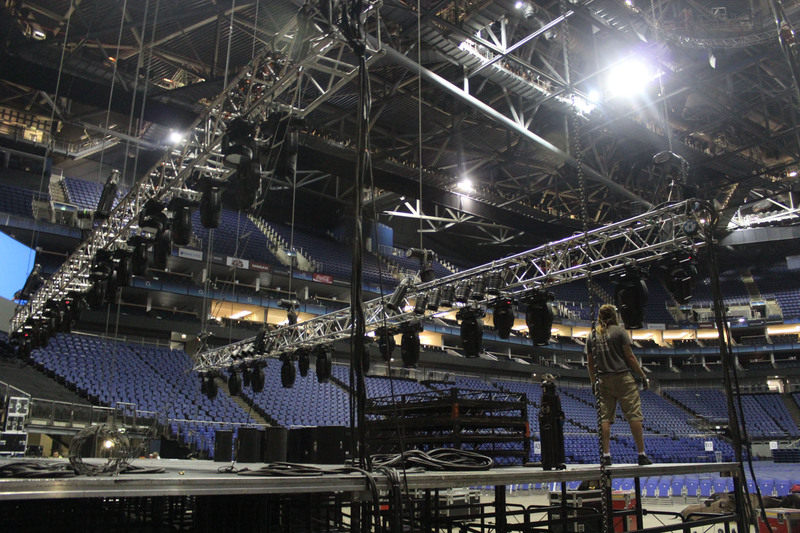 To guarantee that your sound and lighting systems are safely installed in place, you will need rigging equipment. 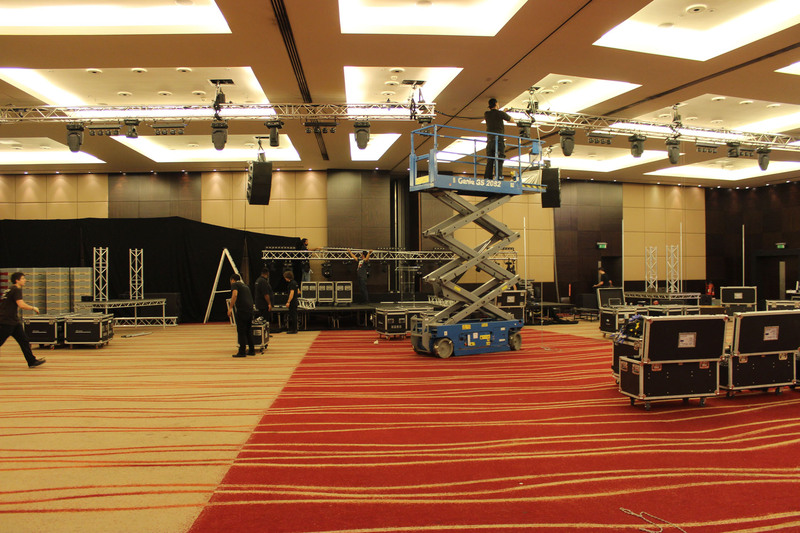 This equipment can consist of trusses, hoists, and slings, and it is vital to ensure your event has the necessary structural requirements. It covers a wide range of tools that will be used differently according to your needs. You might need to lift something from above, which will require hoisting equipment. This equipment uses a pulley method, useful if you want to hoist any decorations. Pulling equipment will allow you to move objects on the ground more easily. If you have stands set up for your corporate event and they include heavier objects, you will need pulling equipment to help organise them the way you prefer. 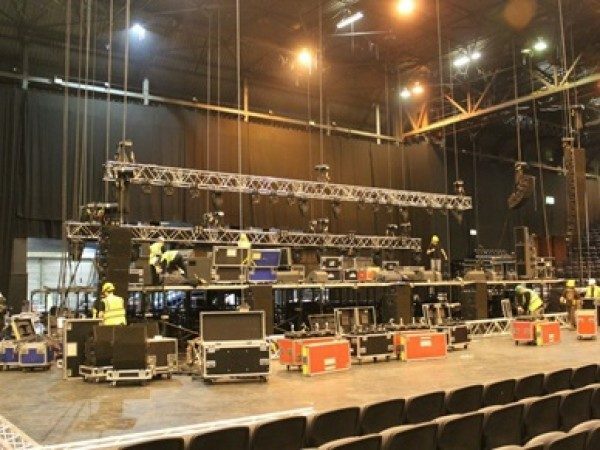 The different sets of lights that you choose for your event will need to be suspended in rigs and, if you want a stage, you will also need the proper equipment to set it up. Having professionals set up the rigging equipment will provide you with peace of mind that all the technology is safely and securely in place. Having music at your corporate event helps to set the atmosphere, and corporate events are the perfect time to mention exemplary employees or to make important company announcements. With sound in the background, lighting is the next important step. You might want to hire a band or a performer, and having professional lighting set up will ensure that your event won’t turn dark during an important moment. Lighting helps set the mood, and you might want to have coloured lights set up to impress your guests. The choices you make will determine if your event stands out and is a spectacular day that no one will forget. 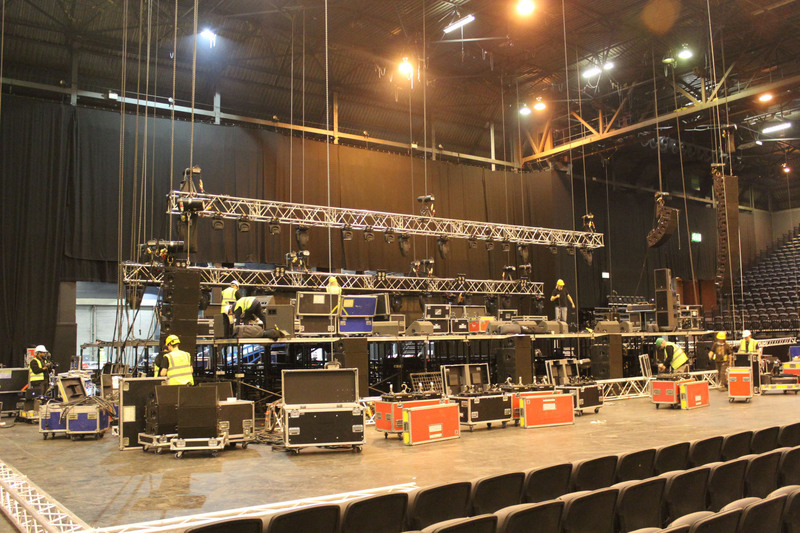 Rigging is, therefore, a crucial element and should be performed by trained professionals, so that you can take full advantage of your event. If you’re planning a corporate event and need professional equipment, here at Pro System Services we offer equipment hire from sound to stage and video at affordable prices. You can contact us on 020 8819 9875 to speak with our highly-skilled team. They are always happy to answer any query you might have. You can also find us on Facebook to keep up to date with our news.